It must "perform like a 675LT." Although there’s no precise time frame for launch just yet, Autocar has learned from an inside source that McLaren will build a pure-electric hypercar as part of its Ultimate Series. To be clear, this is not the same as the recently announced P15 and three-seat BP23. The former will launch later this year while the F1-style three-seater is due in 2018. The Ultimate Series EV will launch sometime afterwards. We can’t say this news, assuming it turns out to be true, is all that surprising. 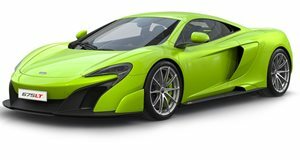 We’ve known for a couple of years now that McLaren was making electrification plans with the goal of having half of its lineup being hybrids by 2022. Autocar further adds that McLaren will initially build just five examples of this so far unnamed Ultimate Series EV, and longtime McLaren owners will be exclusively invited for test drives and offer feedback. Honestly, we shouldn’t at all be surprised that McLaren is venturing down the pure EV route. Think of the P1 hybrid hypercar as sort of a test bed for eventual full-on electrification. McLaren has also been a supplier of powertrains for Formula E, yet another clear-cut sign of the automaker’s intentions. 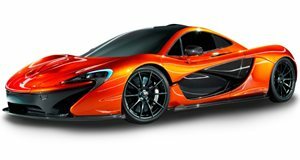 The big question is whether McLaren can deliver a proper hypercar performance experience in an EV. Honestly, we have total confidence in the folks at Woking. That same source also added that any pure-electric model must “perform like a 675LT.” Assuming that’s the bare minimum goal, then we’re in for some great times.